Beats Audio has acquired streaming music provider MOG, finally putting to rest rumors that such a deal was in the works. The companies revealed the news to USA Today although terms of the purchase were not disclosed. 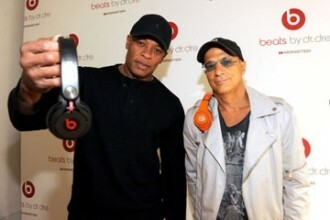 Beats reportedly spoke with several music services but ultimately selected MOG based on their commitment to fidelity. Beats President and COO Luke Wood told the newspaper MOG was the first service to offer their entire catalog in 320Kbps. He also noted they were committed early on to being accessible through multiple access points as evident by their deals with LG, Samsung and BMW. MOG currently offers streaming music through their website and on Facebook for free. An unlimited ad-free version is available for $4.99 each month while unlimited portable downloads can be had for $9.99 per month. Their service is similar in function and pricing to competitors Rdio and Spotify. There’s no word yet on what exactly Beats has planned for MOG but the most obvious first step would be to offer an extended trial or discount of MOG service to Beats customers. MOG founder and CEO David Hyman said the acquisition will provide a true end-to-end music experience. GigaOm reported in May that the deal was valued around $14 million. A source close to MOG came forward to the publication after their story ran, saying the final value was significantly higher but keep in mind that this all happened two months ago. The price could easily have gone up or down since then.